YOU Might have Gluten Sensitivity.. Chances are, if you have a health problem, you have Gluten Sensitivity. This isn't just idle speculation, but a well researched scientific fact. In fact the first article that EVERYONE who has ANY health problem should read is this letter called Coeliac Disease: The Great Imitator. It was written by a doctor who has several doctors in his family and they all missed his celiac disease. It took the SECRETARY in one doctor's office to finally diagnose him at the age of 80, after many years of suffering- unfortunately an all too common occurrence. If you have a specific Question About Gluten Sensitivity or want to know information about a specific aspect of Celiac Disease Research, then ask it here. I'll answer you question personally with the latest facts or make sure that the answer you get from others is backed up with actual research! Bookmark this page as it will be constantly growing as I add more research articles. Non Celiac Gluten Intolerance. It's Real and Here's Proof! The Celiac Disease Research Says it Takes About 10 Years to Get a Diagnosis! Do you STILL think that your doctor knows what's wrong with you!? This is some seriously interesting Vitamin D Research. In many cases, the ONLY symptom of Celiac Disease is Infertility! Heartburn as a Symptom of Celiac Disease and who DOESN'T have heartburn!! If you have ANY Health Problem, you need to read this Celiac Disease Research. 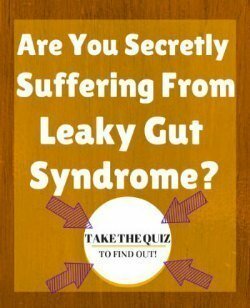 You might just have Celiac Disease and not know it! The iceberg of celiac disease: what is below the waterline? Prevalence of SILENT CELIAC disease in patients with autoimmune thyroiditis from Northern Sardinia <--- they said SILENT Celiac! BRIEF REPORT: Physician Awareness of Celiac Disease A Need for Further Education<--- 65% of doctors have NEVER diagnosed Celiac Disease in 20 years of practice!! The current 'wisdom' is that Sjogren's Syndrome is 'genetic', meaning 'There's Nothing that you can do for it if you have it'. The Celiac Disease Research says that this is nonsense. A gluten free diet can greatly improve the symptoms of Sjogren's Syndrome. Could it PREVENT it altogether if the Celiac Disease was caught much earlier? We'll never know until doctors start recognizing the symptoms of Celiac Disease earlier. More and more, Celiac Disease Research is showing that ALL or nearly all autoimmune disease is linked to Gluten- and that a gluten free diet can improve or even reverse most autoimmune disease. Many researchers are coming to the conclusion that the CAUSE of any and all autoimmune disease is the digestive tract damage that occurs in Celiac Disease. Gluten sensitivity masquerading as systemic lupus erythematosus<---Masquerading as another disease! Maybe YOURS! Diabetes is an autoimmune disease! Most people are not aware of this. Your body's own antibodies attack the pancreatic cells, causing damage and, eventually diabetes. Celiac Disease Research is, more and more, saying that autoimmune diseases are CAUSED by Celiac Disease. If you have diabetes, insist upon being screened for celiac disease. You know those little white sores that you get INSIDE your mouth that everyone calls 'Canker Sores' or 'Cold Sores'? According to Celiac Disease Research, these might be manifestations of gluten intolerance!! This study says that a gluten free diet can CURE Rheumatoid!!! ---> Inflammatory rheumatism and celiac disease in adults. Coincidence or pathogenic relationship? Dental enamel defects in celiac disease<-- They suggest that dentists should be sending people for Celiac evaluation! Current Approaches to Diagnosis and Treatment of Celiac Disease** pdf. "Dental enamel hypoplasia has been found in up to 30% of untreated patients with CD." I was wondering if Gluten Sensitivity can cause high blood pressure. Does anyone else with gluten intolerance fall asleep after consuming glutens?